Memorial Day... it is enough to remember today those who have fallen in defence of our nation. But it's not all we can do, for them or for us, and to leave it there, I think, deprives them, and you, of an important part of what they died for. It seems to me that you can remember them even more completely if you will remember what it was that they gave their lives in defence of. If you remember why it was that their lives came to be remembered on this day, then you can in some sense repay them and also deepen your own position in your own life. 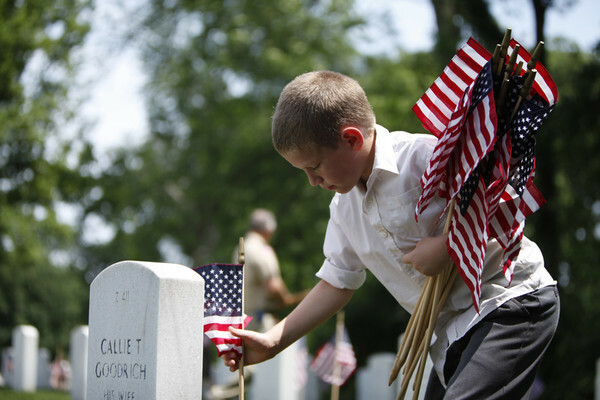 Do you remember what Memorial Day was designated for you to remember? It has changed over the years, but it began as 'Decoration Day', back in 1868, on May 30th, a day chosen because it didn't mark the anniversary of any battle - an important point - as a day to officially mark, what people had unofficially been doing across the land on their own for some while, decorating the many, many graves of those who had 'died in the late rebellion'. 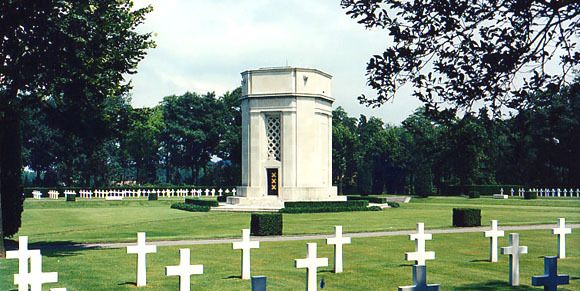 After WWI, when many more graves were dug, the day was changed to Memorial Day to remember all of those who have died in service of their country, in all of its wars. But what does it mean to remember? What can it do? Remember... the members of our lives who were lost can never be re-membered... those who are gone are gone forever, but in the service of... what? Why did they give their lives? 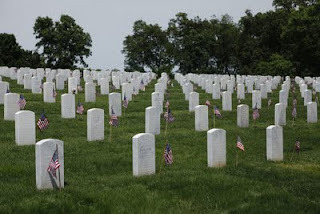 Why decorate the graves of soldiers, those who have gone before their time, lives which were violently lost... why? Family and friends will remember their fallen family and friends, they have no need of a national holiday to do that, there is no use for you who they do not know to pretend to remember those you never knew - but that is not what we pause this day to remember. What did their untimely deaths have to do with your life here and now? Does their death have any relevance to your life? Asking another question might put us closer to the trail, what relevance can your life have to your nation without remembering why they lost theirs? Memorial Day is a day of remembrance for those who gave their lives, the 'last full measure of devotion' in the service of the United States of America, but not just to their homeland - any country can do that, and they do - nothing exceptional there. But we are an exceptional nation, and simple remembrance will not do, because simply defending their homeland is not what they did or why they did it. Why did they do it? What did it mean? That is what they risked and lost their lives for, was it worth it? Do you grant their lost lives a value in yours? And that is the heart of it isn't it? Does the life they lost have value in yours? Well, if you can say the words "your life", as something you live, something which you value and have some measure of control over, then yes, their lives were lost in service of your being able to think of your life as yours, and that - that is something which should cause you a spasmed breath, one abruptly caught in your chest in reverence and awe... that another's last breath was let go as 'darkness veiled his eyes' not just so that you could draw your previous, current and next breath as you wish, but so you could do so in a state of liberty. Now I think we're getting closer to re-membering them and memorializing their life, through yours. Let's chase that a little further. What does it take to say 'your life'? What does it take to live your life? What must you do, absent simply having others take care of you, what must you do to live? First off, you must use your head, you must think... but just thinking isn't enough to continue living, after all, you could very well choose to think that by imagining very clearly and distinctly that your shoe would become a salmon if you declare it so, but such thinking would do nothing to advance your life. For your thinking to benefit your life, it must be productive, and to do that it must reflect reality... your life will continue on only if at least some of your ideas help you to transform the reality you face on a daily basis into those materials and conditions which benefit your life... food, shelter, etc, IOW 'nature, to be commanded, must be obeyed'. For your life, to be lived, you must be free to think, for your thoughts to benefit your life you must see to it that they respect reality - cherish truth - for your freedom of thought to be anything other than a mockery, you must be free to put them into action, and again, for your thoughts and your actions to be a benefit to you, rather than a mockery, you must be free to retain and use that which your thoughts and actions have produced, and what they produce is called property. Today, for the lives we remember having been lost, to have meaning and value to us, your life must be able to be lived in the spirit which they gave their own lives up for, that of liberty; the liberty to live your life in the pursuit of happiness in your life. Those we memorialize today gave their last full measure of devotion in service of the document which makes that possible, the Constitution of the United States of America, a document which outlines the ideas necessary for ensuring your ability to live your life, in liberty and pursuing happiness. They gave their life for the ideas which best reflect the reality of life and the requirements of man living in liberty so that in his life, if he applies his thoughts to actions which serve to produce the materials he needs, that will enable you to live your life and pursue the happiness you seek in life, secure in that property which you expend the actions of your life in producing. The Constitution was designed to do just that. It was worth fighting and risking death for, because it was seen as the means to securing a life worth living for, for themselves, their families, and their posterity - you. These branches are structured in such a way, utilizing the famous checks and balances, so as to have just enough interest in the other branches as to wish to see them function well, as well as to wish to preserve their own branches from becoming slighted and unbalanced. The founders knew well that most states fall into ruin not under promises of harm but under promises to better the conditions of one group or another for the betterment of all. And so our system is designed to keep each branches desires to 'do good' in check, by the other branches benefit as well, and that none gains power over the others - each must see 'their point' of the other and work together, securing a state that enables you to live your life in pursuit of happiness. But the people who ratified the constitution didn't think that the original document, which united government into balanced cooperation, was enough to secure the liberty and freedom of the governed, and so they insisted that it also specifically uphold and defend a few key rights, Rights which long experience as Englishmen... and then as Americans deprived of those rights, knew would be required to prevent a new tyrant from turning their government against their liberty 'for their own good'. They demanded the Constitution be amended to secure the peoples liberty to live their own lives, secure in their property and associations and activities which seemed to them to best hold the promise of pursuing happiness through, and that produced the Bill of Rights. This foundation of government was and is an ordering of ideas, designed to enable each persons actions the liberty to act and secure their property without violating others rights in pursuit of the same, so that each person can have the incredible gift of being able to live their own lives as they see fit. This is the Constitution which was, and still is, worth fighting for, and risking dying for, because it makes possible the kind of life worth living, lives in which each person might choose to pursue; and the idea of living in service to that, of making not only your own, but others lives livable... is a glorious pursuit, and those in the military who offered up their life in service of it... they are truly worth our pausing on at least one day a year, in solemn remembrance of the life they offered up to make your life a possibility. Remember them, thank them, and with them in mind demand the liberty to live your life secured under, and securing, those laws which they gave up their life defending, do that, and you will truly be memorializing their lives and making their sacrifice worthwhile. In Flanders Fields John McCrae, 1915. On Memorial Day, we should celebrate that such men lived, and that the nation they thought worth risking their lives for, still endures. 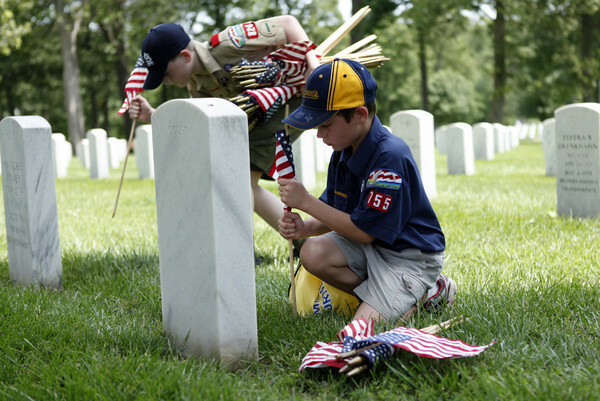 This Memorial Day, celebrate what is worth remembering.